iMessage is easily one of Apple’s most popular services. 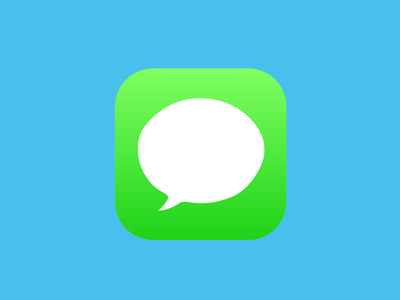 Introduced in 2011 as one of the standout features in iOS 5, iMessage lets people send texts, photos, videos and more for free — as long as this communication is performed from one Apple device (iPhone, iPad, etc.) to another. Otherwise, it’s just another way to send standard SMS/MMS messages. According to Apple’s services chief Eddy Cue, people send as many as 200,000 iMessages every second. That’s a pretty insane statistic. And yet, despite being one of Apple’s most popular services, iMessage has hardly changed over the past five years. Its biggest change came in 2013, when Apple redesigned its entire mobile operating system with iOS 7, but that was mostly a visual overhaul. Next week, Apple will introduce the next version of iOS, presumably called iOS 10. Considering the popularity of messaging apps right now, from Messenger to Snapchat to WhatsApp and more, I hope iMessage gets an upgrade. Here’s what I had in mind. Emojis and GIFs without searching for them! I love Slack. I use the messaging service every single day for work. One of my favourite features of Slack is the ability to include emojis and GIFs simply by typing -- no need to search through a different keyboard or app. For emojis, you can just start typing whatever emoji you're looking for inside a pair of colons, so if you type :smile: it will automatically create the smiling emoji. For GIFs, Slack has an integration with Giphy so you can type '/giphy (insert GIF description here)' and it will automatically send a GIF fitting that description. These built-in functions might seem minor but they make a big difference to the overall user experience. It makes it easier to react through emojis or GIFs in the moment, without ever needing to leave the app. iMessage could easily add similar integrations. The ability to 'star,' or 'favourite' the conversations that matter to you most. This is another feature Slack already has that iMessage should have. Since everyone at Tech Insider uses Slack, there are tons of channels dedicated to everything you can think of: Individual verticals for each subsection, channels dedicated to giving 'props' to fellow colleagues who do good work, channels for just editors, etc. Add those group conversations to the individual direct messages, or private conversations you'll have in Slack, and you might feel a bit overwhelmed. But when I open Slack, I don't feel overwhelmed with the number of conversations and channels I'm in because Slack lets you save your 'starred,' or favourite/most used channels, which are presented at the very top of the app so they're always easy to find. So even if you're involved in hundreds of different conversations, you can always find the channels that matter most. This would be a great feature in iMessage, especially since the only way your messages get sorted is by recency. I would love to 'star' conversations with my girlfriend and family members, for example, so it's always easy to find them later at a glance. The ability to pay people using Apple Pay. It's become incredibly easy to pay friends and loved ones back for stuff like groceries, rent, taxi rides or restaurant bills. Venmo is one of my most-used apps: My girlfriend and I constantly Venmo each other for all of the above reasons. There are other similar services on PayPal and even Snapchat. But it would be super easy to port all of these features into iMessage. How great would it be to simply send, receive or request money over iMessage? Apple already has a fully encrypted system for payments, Apple Pay, which is protected by your unique fingerprint and/or a four- or six-digit code to charge your credit or debit card on file. Adding Apple Pay to iMessage would take little effort on Apple's part, and it would make peer-to-peer payments so much better. This way I wouldn't have to download and use a separate app just for this one function.